So after being held in New Zealand customs for 10 days I finally received my kit yesterday. 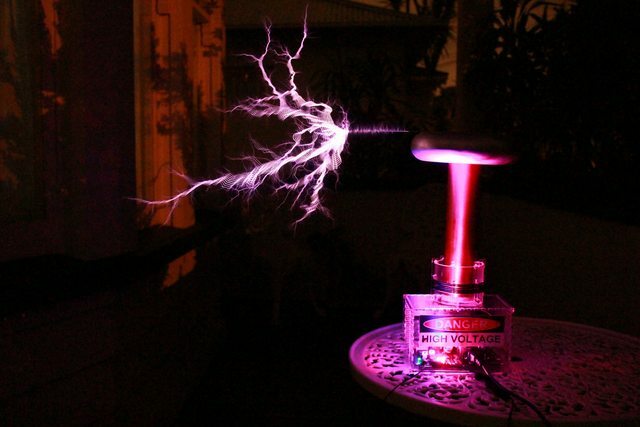 15 Hours later (and an unhealthy amount of caffeine later) I now have a fully working OneTesla coil. I have to say this coil is amazing. Ran into a couple of issues though much like most people who've built one of these. I'm assuming a couple of the pads have oxidised which made it very difficult to solder to. Nothing a little persistence and acetone couldn't fix. My biggest worry was whether or not the secondary would be in tune. I measured 250 ohms on the secondary and as such I went with a 6 turn primary. Would anyone recommend changing this? I haven't blown an IGBT (yet...) or fuse all the while taking it up to around 60-75% power. Any suggestions for tuning? I unfortunately do not have access to an oscilloscope or signal generator, but I have a couple of engineering mates who do who wouldn't mind helping me out. In the time being, is there anything I can do to try and 'tune' it? I may suggest tunning with a thermometer which was introduced in this post in video by user E.TexasTesla. If you attach a temperature gauge to your heatsink (and you might want to turn off cooling fan for a while) if the temperature rises significantly (up to 40-50ÂºC) in 1 minute, the coil is not in tune. It could be either secondary frequency is too high, or too low. So you may add some metallic object on top, if the temperature began to rise faster then you should reduce the topload size or add more turns on primary. Correct me someone if I'm wrong. I didn't try it myself, just thought it should work. I finally braved it and took this thing up to 100%. There isn't a drastic change in the spark length but there it does become thicker. No blown IGBT's...yet. I think the tuning should be relatively ok for now. I do occasionally get primary flashovers to the secondary but only with very low notes. I'm guessing it has something to do with the pulse-width. Extrapolating this image the largest streamer length i've been able to achieve is around 18-19 inches at 90% power.